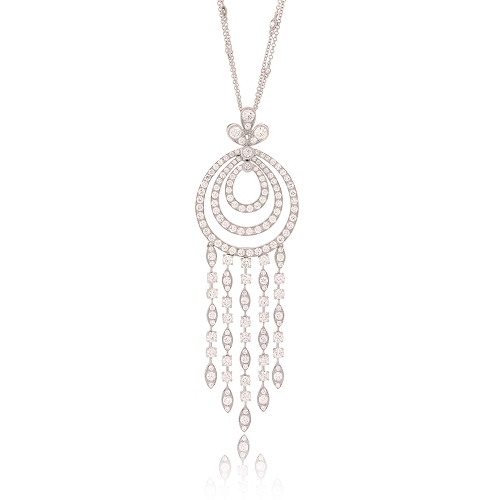 Delicate strands of diamonds suspended from this round 18kt white gold pendant. Diamonds approx.7.90ct. Chain 20"